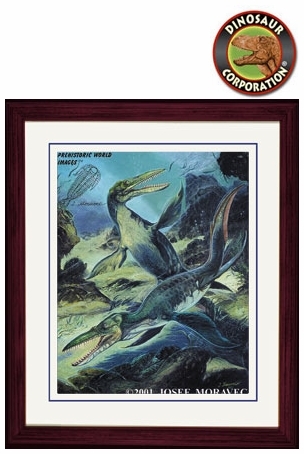 Home | DINOSAUR PAINTINGS | Kronosaurus queenslandicus | Kronosaurus Picture, Cretaceous Reptile, Framed Picture, 17" x 14"
KRONOSAURUS queenslandicus is framed in solid wood picture frame 17" x 14". Original Oil Painting by Josef Moravec. ▪ Kronosaurus, Cretaceous Reptile, Picture 8.5" x 11"